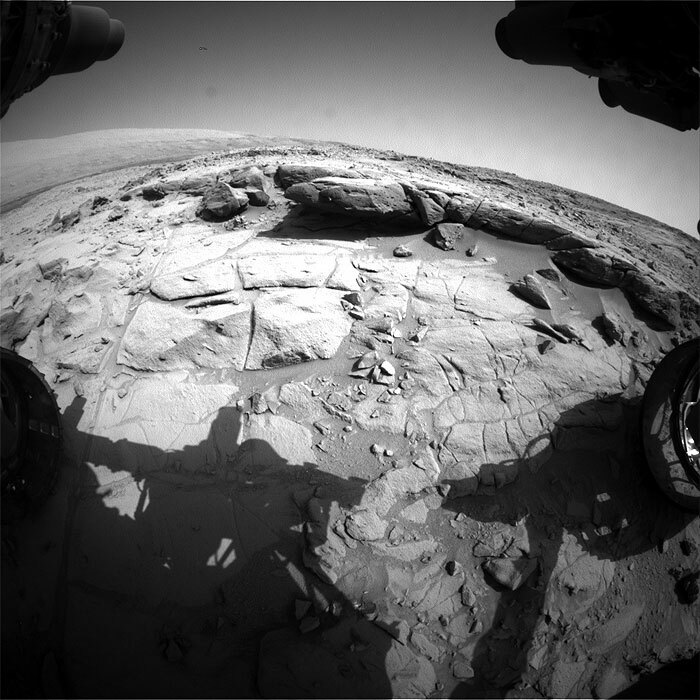 NASA's Mars rover Curiosity acquired this image using its Mars Hand Lens Imager (MAHLI), located on the turret at the end of the rover's robotic arm, on October 28, 2013, Sol 436 of the Mars Science Laboratory Mission, at 05:14:01 UTC. 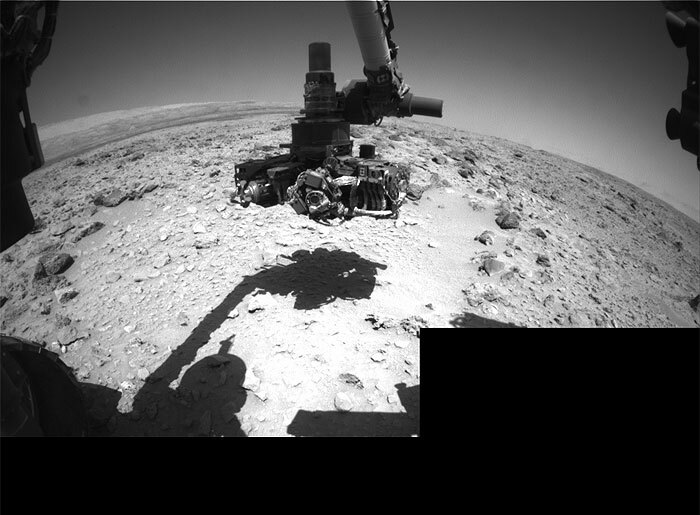 This image was taken by Navcam: Right B (NAV_RIGHT_B) onboard NASA's Mars rover Curiosity on Sol 436 (2013-10-28 02:00:17 UTC). 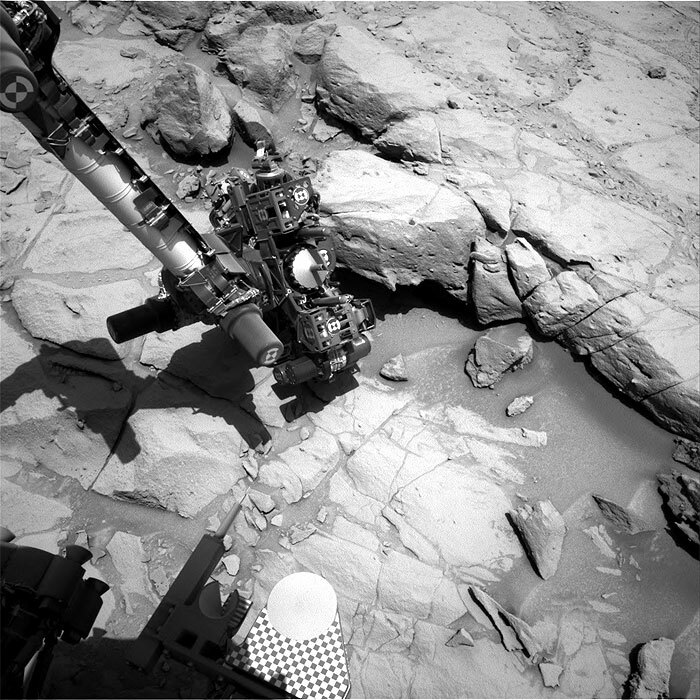 This image was taken by Navcam: Right B (NAV_RIGHT_B) onboard NASA's Mars rover Curiosity on Sol 436 (2013-10-28 04:19:14 UTC). 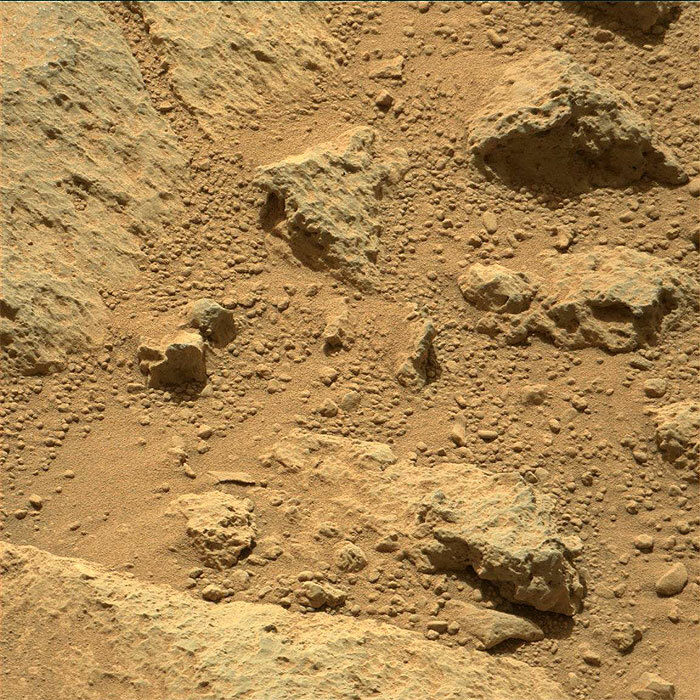 This image was taken by Front Hazcam: Right B (FHAZ_RIGHT_B) onboard NASA's Mars rover Curiosity on Sol 436 (2013-10-28 04:18:37 UTC). 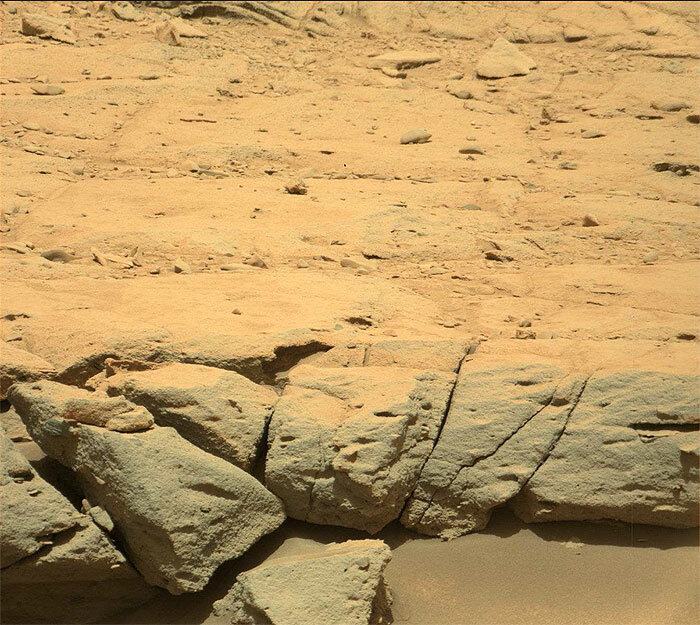 This image was taken by Mastcam: Left (MAST_LEFT) onboard NASA's Mars rover Curiosity on Sol 437 (2013-10-29 05:49:26 UTC). 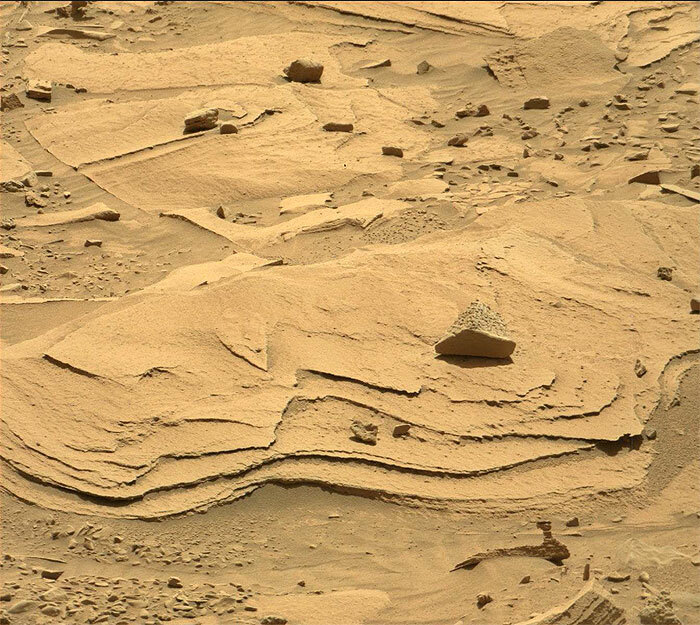 This image was taken by Mastcam: Right (MAST_RIGHT) onboard NASA's Mars rover Curiosity on Sol 437 (2013-10-29 04:33:18 UTC). 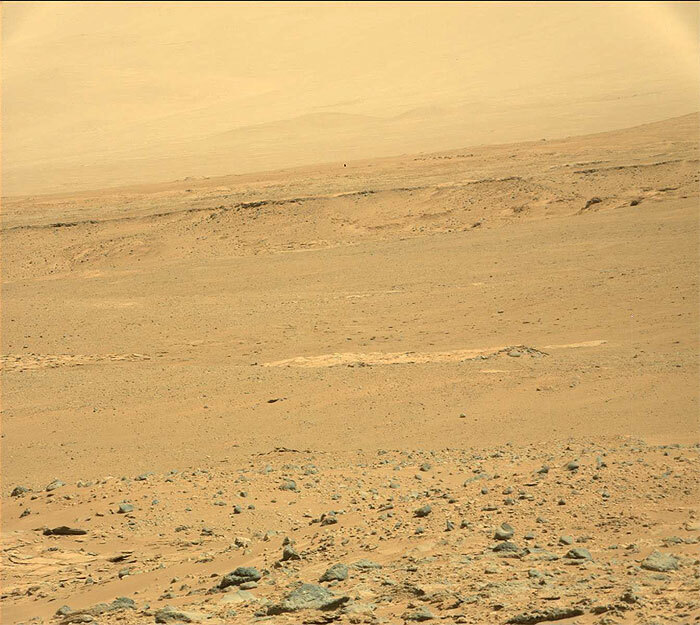 This image was taken by Mastcam: Left (MAST_LEFT) onboard NASA's Mars rover Curiosity on Sol 437 (2013-10-29 05:51:43 UTC). 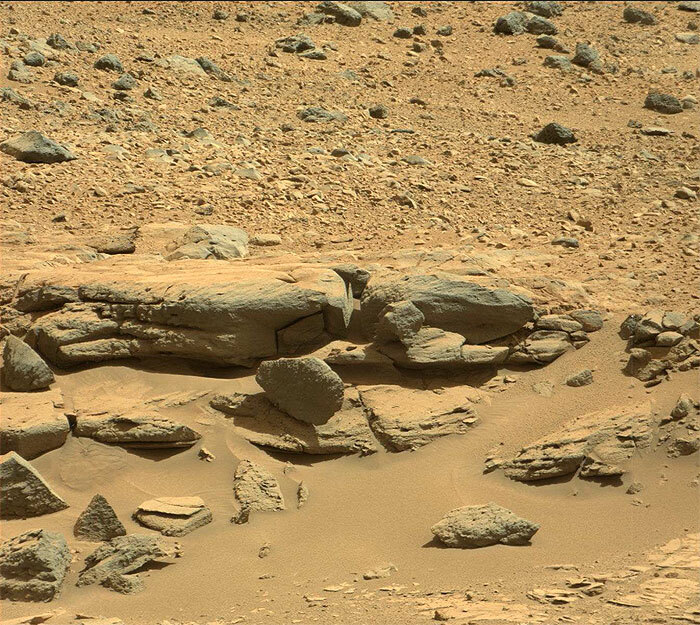 This image was taken by Mastcam: Left (MAST_LEFT) onboard NASA's Mars rover Curiosity on Sol 437 (2013-10-29 05:54:12 UTC). 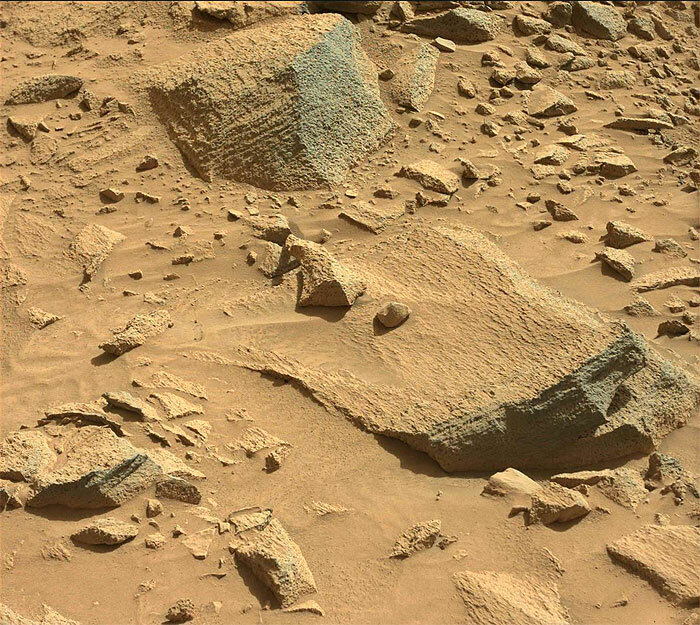 This image was taken by Mastcam: Left (MAST_LEFT) onboard NASA's Mars rover Curiosity on Sol 437 (2013-10-29 05:57:24 UTC). 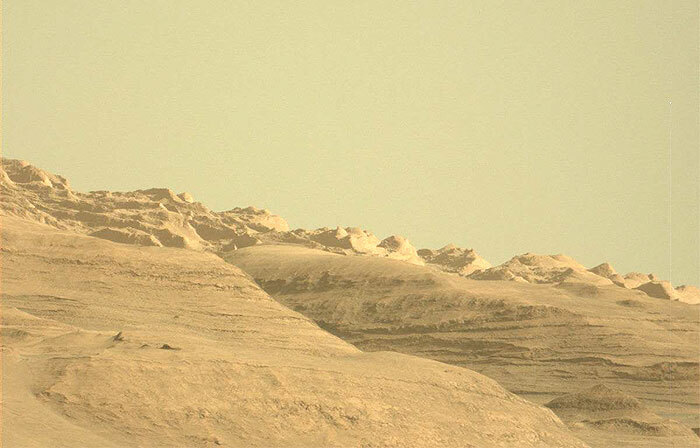 This image was taken by Mastcam: Left (MAST_LEFT) onboard NASA's Mars rover Curiosity on Sol 437 (2013-10-29 06:20:28 UTC). 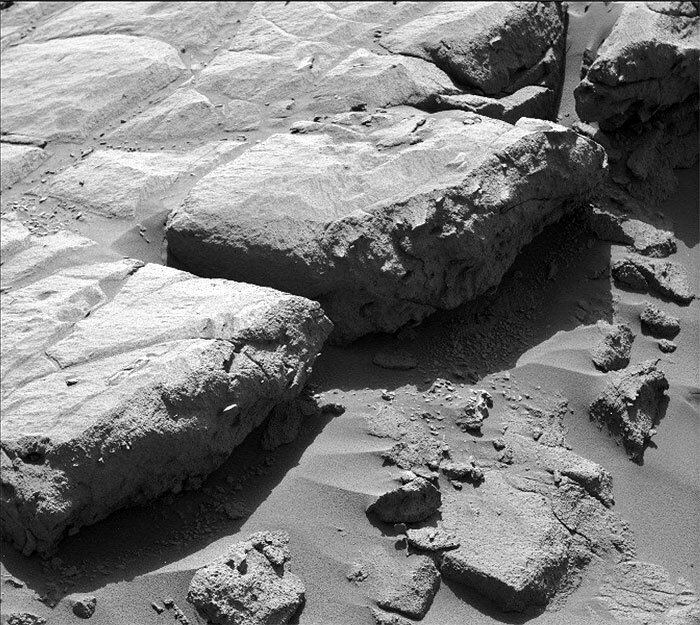 This image was taken by Navcam: Right B (NAV_RIGHT_B) onboard NASA's Mars rover Curiosity on Sol 437 (2013-10-29 04:26:11 UTC). 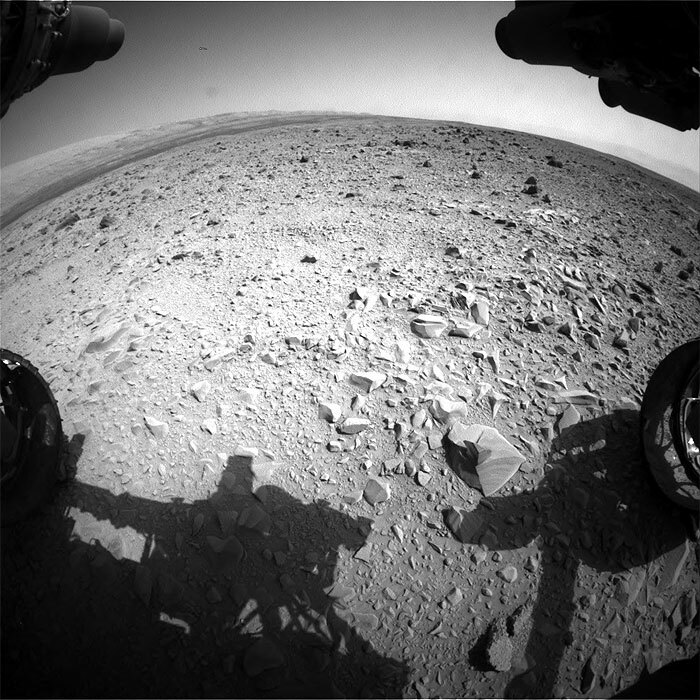 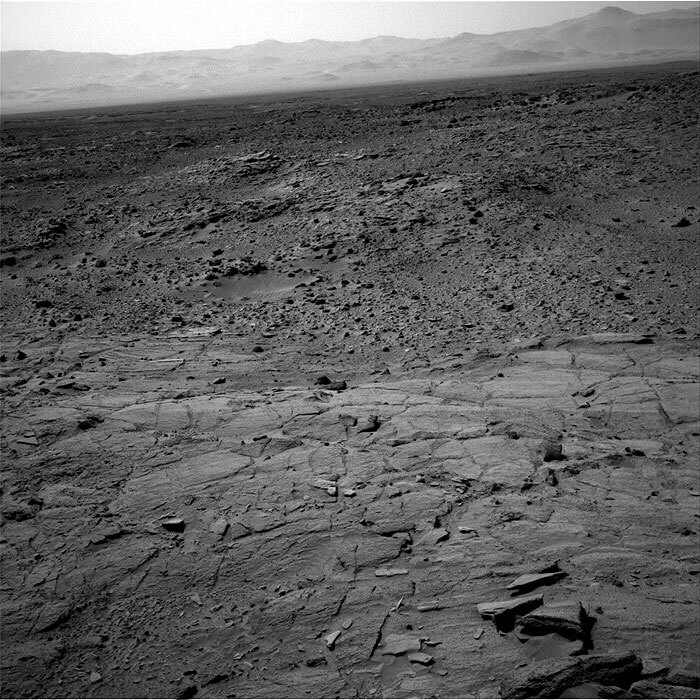 This image was taken by Navcam: Left B (NAV_LEFT_B) onboard NASA's Mars rover Curiosity on Sol 437 (2013-10-29 04:26:42 UTC). 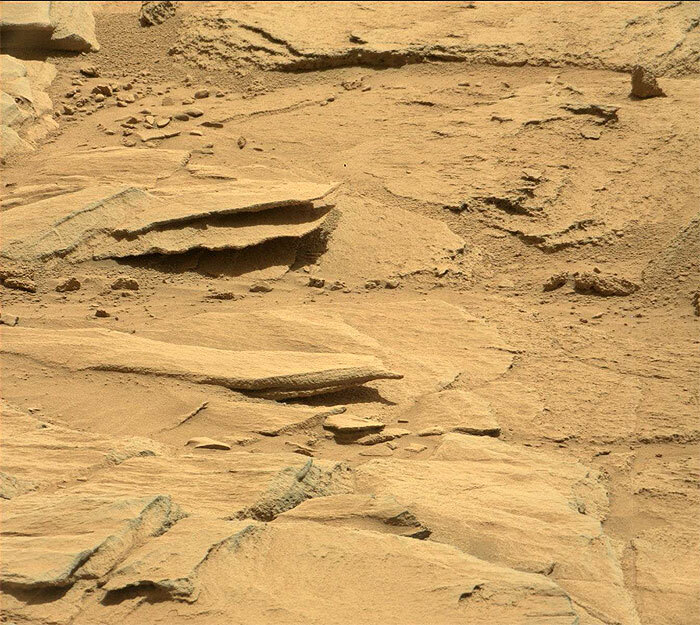 This image was taken by Mastcam: Left (MAST_LEFT) onboard NASA's Mars rover Curiosity on Sol 438 (2013-10-30 04:52:46 UTC). 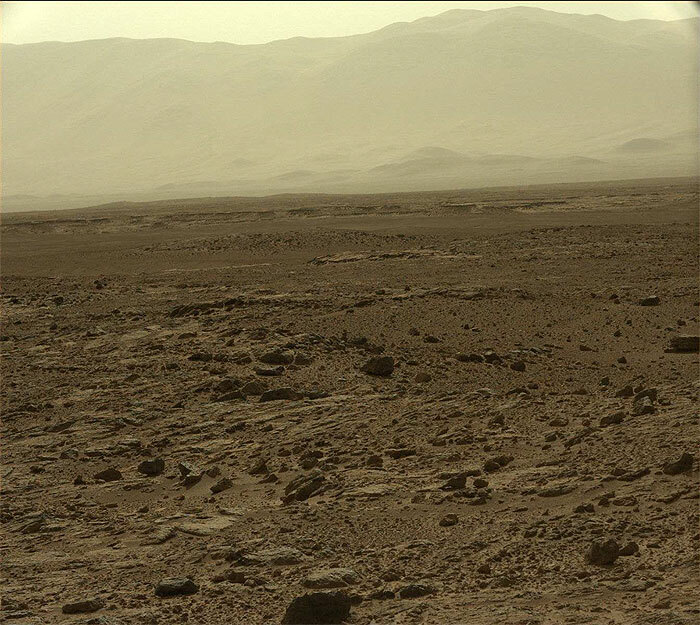 This image was taken by Mastcam: Left (MAST_LEFT) onboard NASA's Mars rover Curiosity on Sol 438 (2013-10-30 06:06:43 UTC). 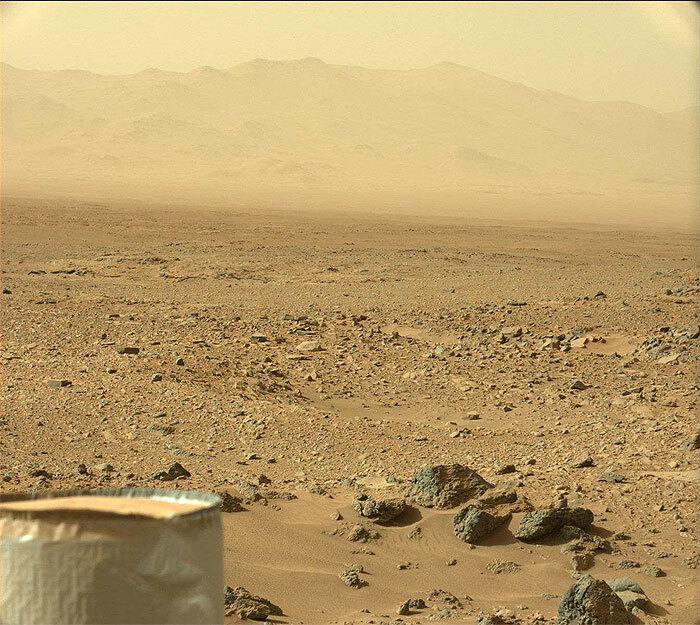 This image was taken by Mastcam: Left (MAST_LEFT) onboard NASA's Mars rover Curiosity on Sol 438 (2013-10-30 06:08:43 UTC). 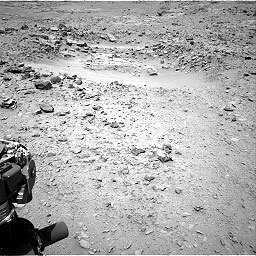 This image was taken by Navcam: Right B (NAV_RIGHT_B) onboard NASA's Mars rover Curiosity on Sol 438 (2013-10-30 05:54:49 UTC). 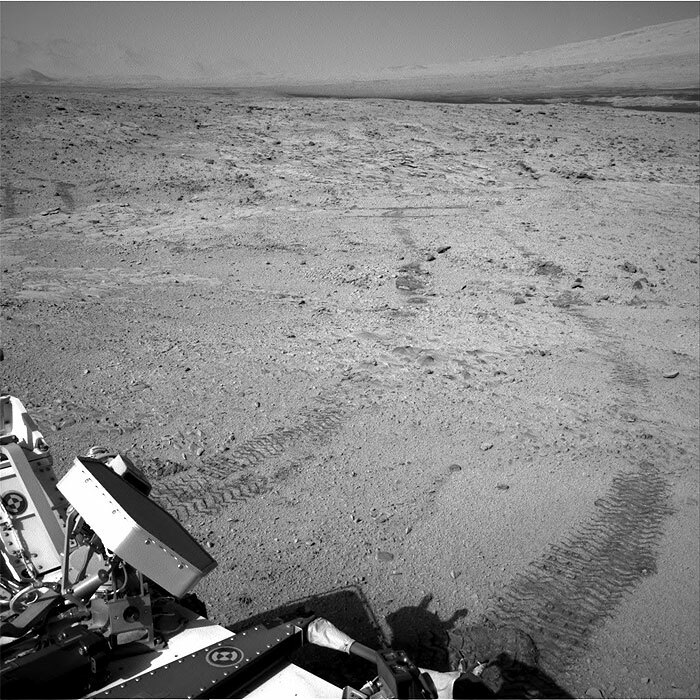 This image was taken by Navcam: Left B (NAV_LEFT_B) onboard NASA's Mars rover Curiosity on Sol 438 (2013-10-30 05:53:42 UTC). 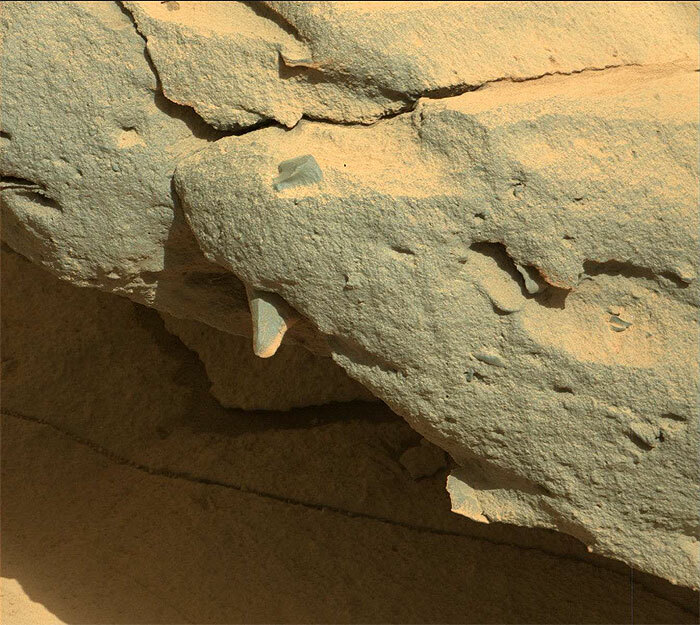 This image was taken by Mastcam: Right (MAST_RIGHT) onboard NASA's Mars rover Curiosity on Sol 439 (2013-10-31 05:03:21 UTC). 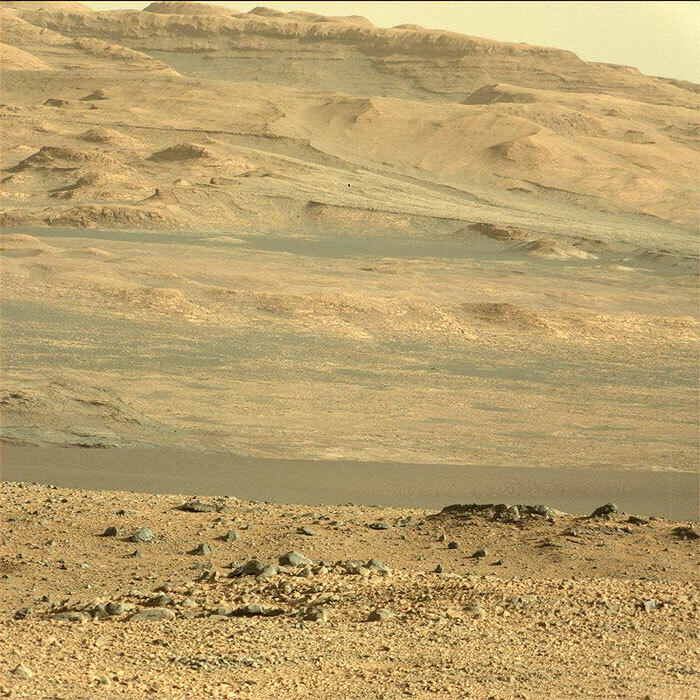 This image was taken by Mastcam: Right (MAST_RIGHT) onboard NASA's Mars rover Curiosity on Sol 439 (2013-10-31 05:04:38 UTC). 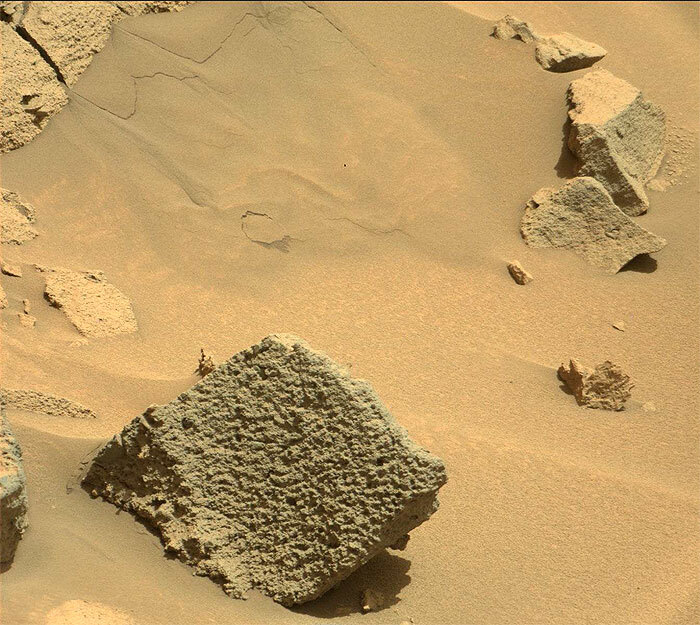 This image was taken by Mastcam: Right (MAST_RIGHT) onboard NASA's Mars rover Curiosity on Sol 439 (2013-10-31 05:18:14 UTC). 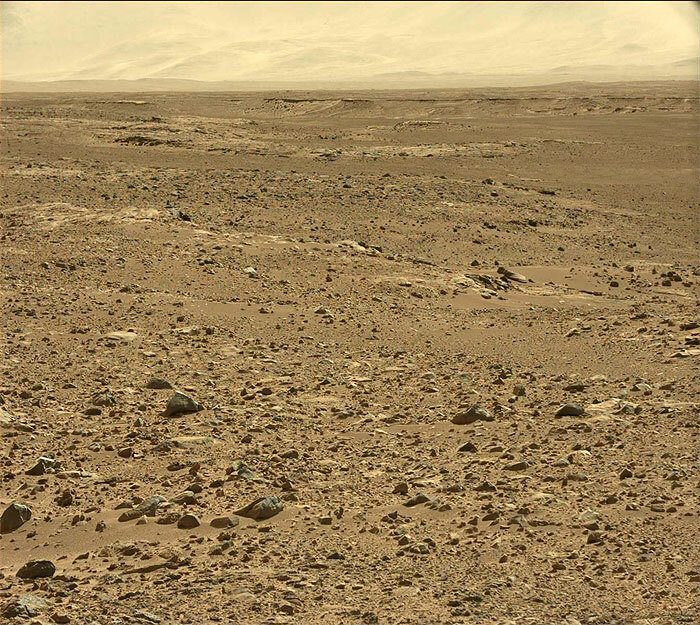 This image was taken by Mastcam: Left (MAST_LEFT) onboard NASA's Mars rover Curiosity on Sol 439 (2013-10-31 06:53:45 UTC). 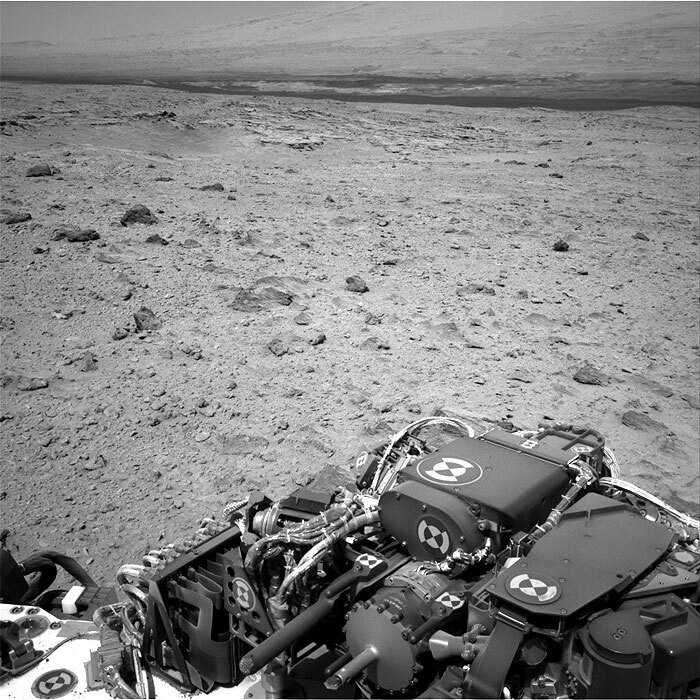 This image was taken by Navcam: Right B (NAV_RIGHT_B) onboard NASA's Mars rover Curiosity on Sol 439 (2013-10-31 06:50:23 UTC). 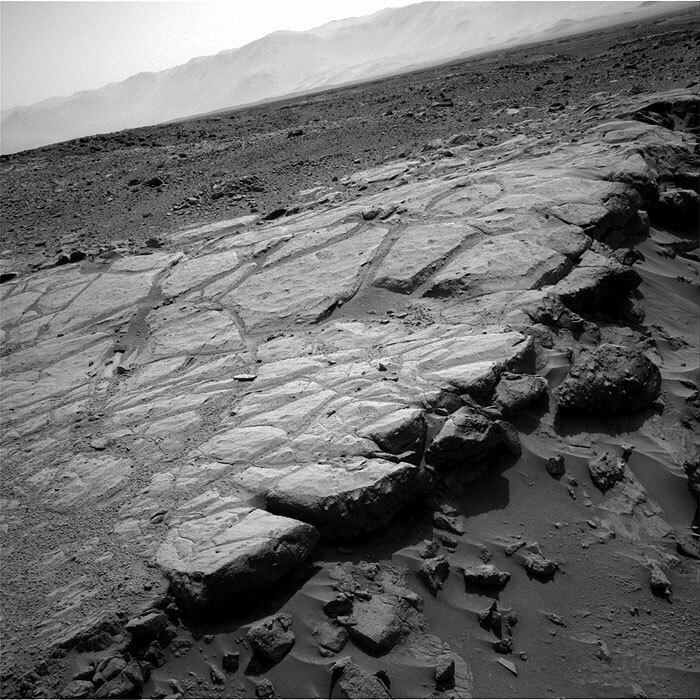 This image was taken by Mastcam: Right (MAST_RIGHT) onboard NASA's Mars rover Curiosity on Sol 440 (2013-11-01 03:39:15 UTC). 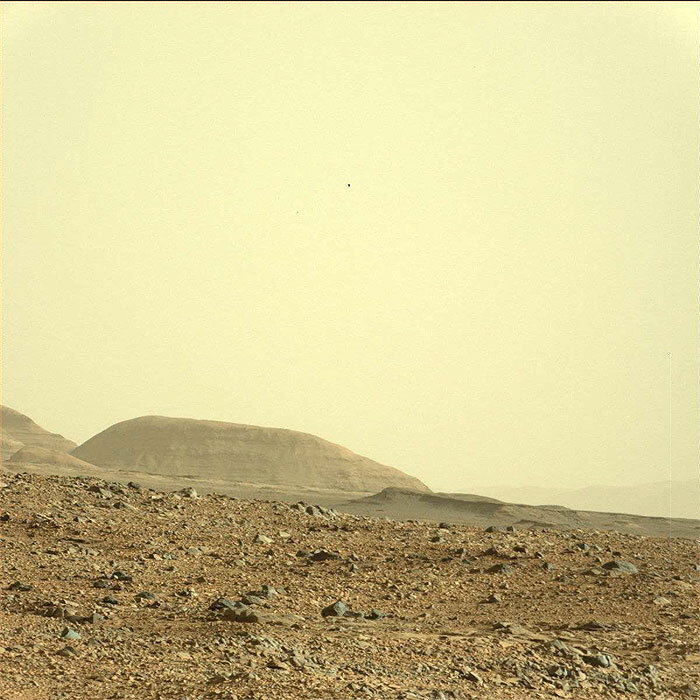 This image was taken by Mastcam: Right (MAST_RIGHT) onboard NASA's Mars rover Curiosity on Sol 440 (2013-11-01 03:46:53 UTC). 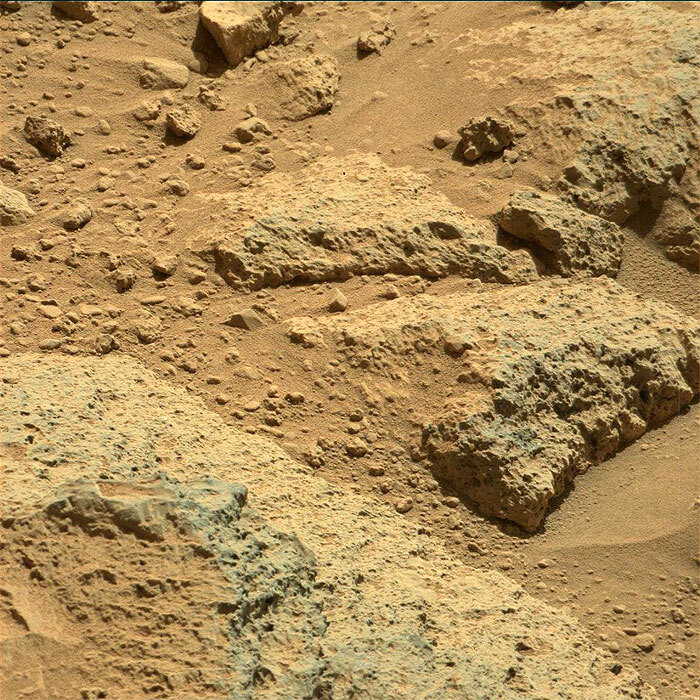 This image was taken by Mastcam: Right (MAST_RIGHT) onboard NASA's Mars rover Curiosity on Sol 440 (2013-11-01 05:23:34 UTC). 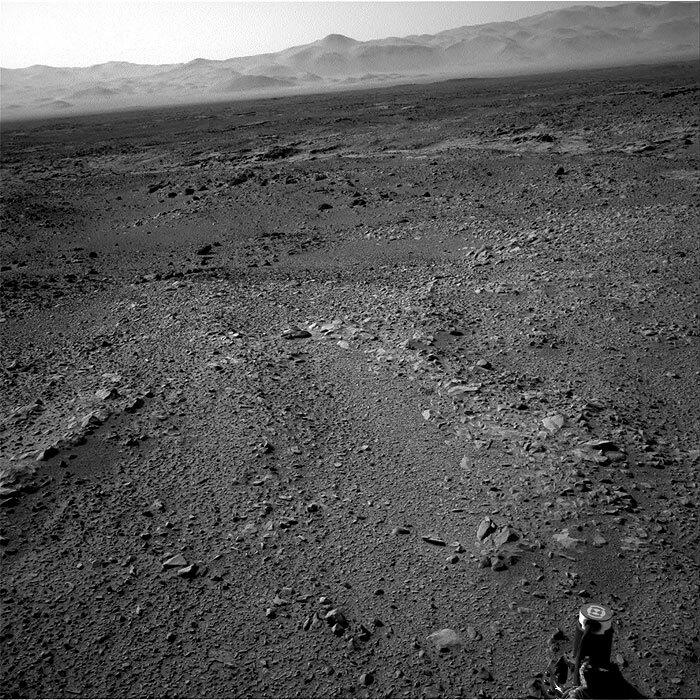 This image was taken by Navcam: Right B (NAV_RIGHT_B) onboard NASA's Mars rover Curiosity on Sol 440 (2013-11-01 06:52:36 UTC). 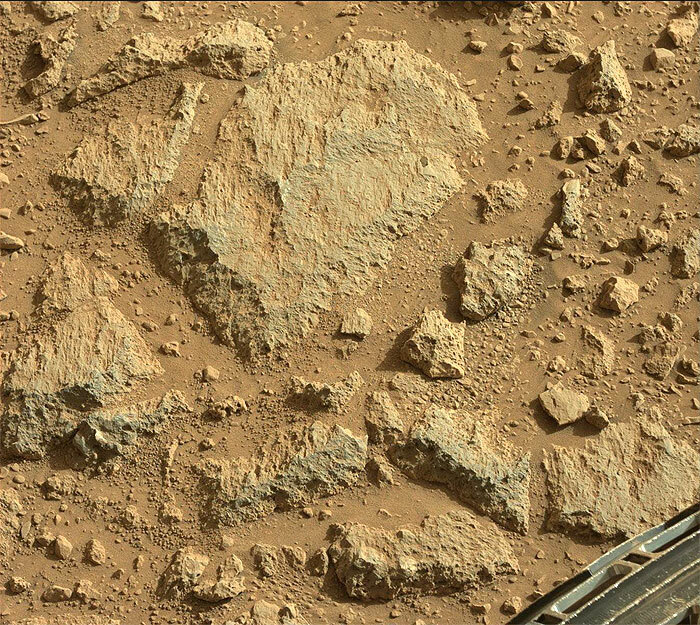 This image was taken by Front Hazcam: Right B (FHAZ_RIGHT_B) onboard NASA's Mars rover Curiosity on Sol 440 (2013-11-01 06:48:13 UTC). 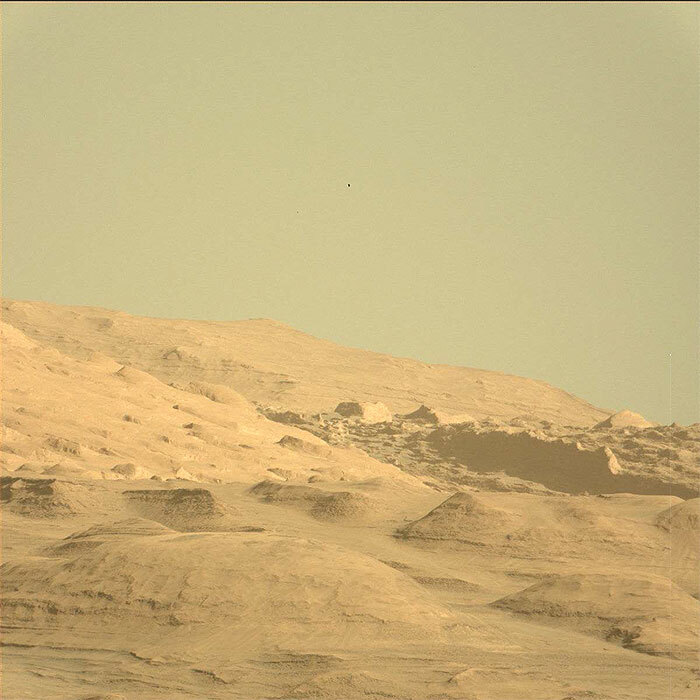 This image was taken by Mastcam: Right (MAST_RIGHT) onboard NASA's Mars rover Curiosity on Sol 441 (2013-11-02 06:16:14 UTC). 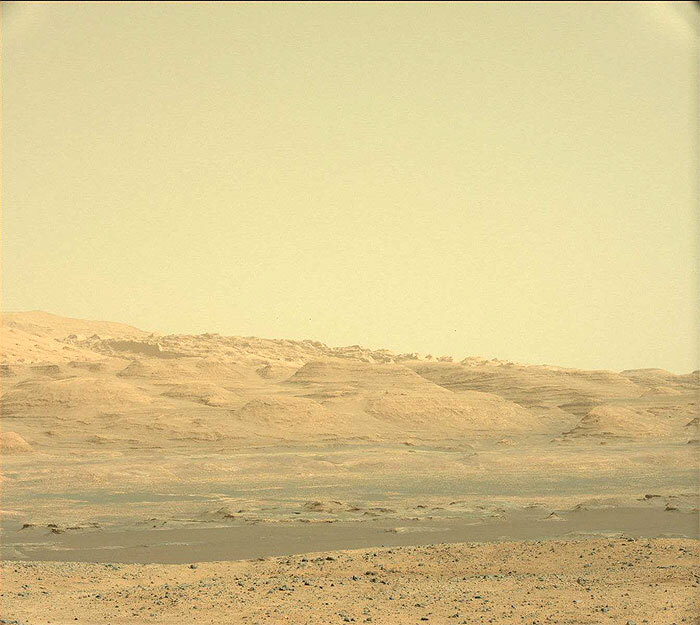 This image was taken by Mastcam: Left (MAST_LEFT) onboard NASA's Mars rover Curiosity on Sol 441 (2013-11-02 07:19:34 UTC). 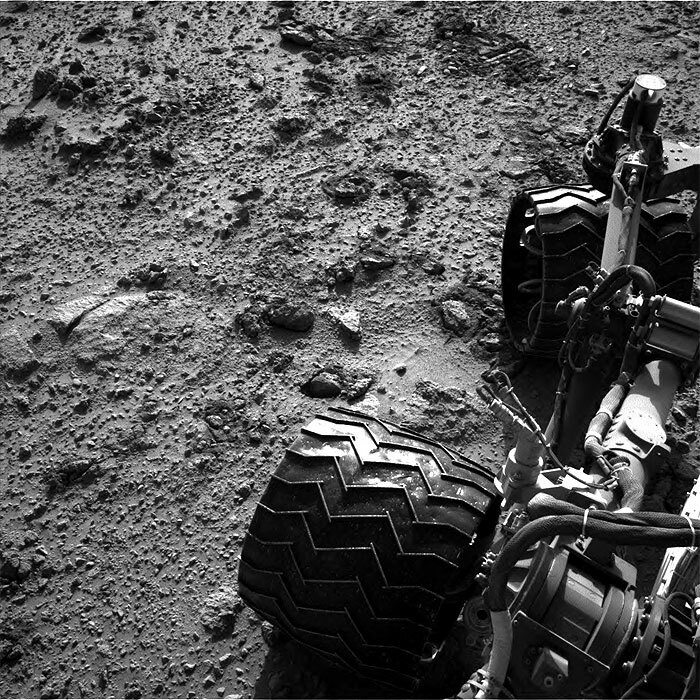 This image was taken by Navcam: Right B (NAV_RIGHT_B) onboard NASA's Mars rover Curiosity on Sol 441 (2013-11-02 06:07:27 UTC). 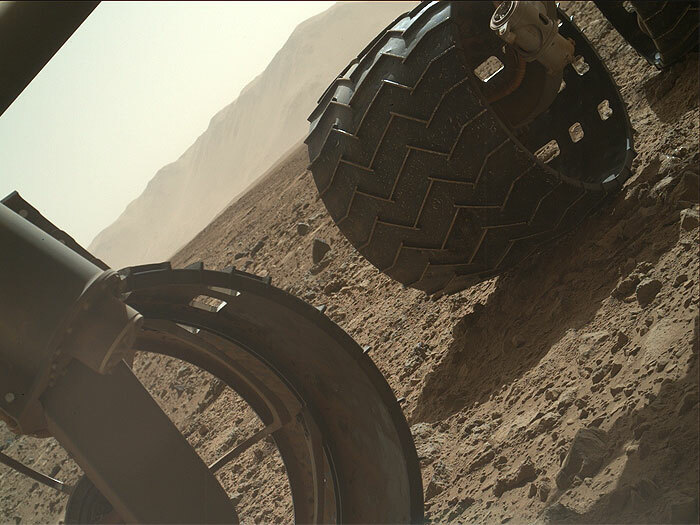 This image was taken by Front Hazcam: Left B (FHAZ_LEFT_B) onboard NASA's Mars rover Curiosity on Sol 441 (2013-11-02 04:12:44 UTC). 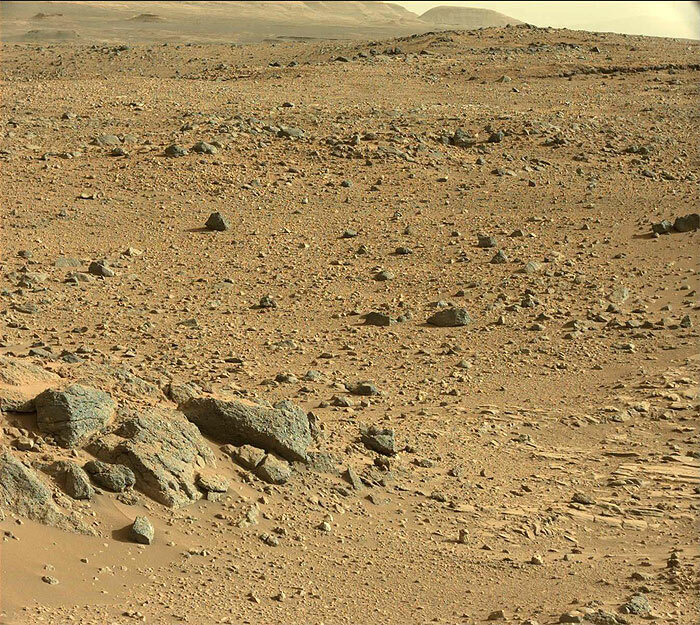 This image was taken by Mastcam: Left (MAST_LEFT) onboard NASA's Mars rover Curiosity on Sol 442 (2013-11-03 10:34:11 UTC). 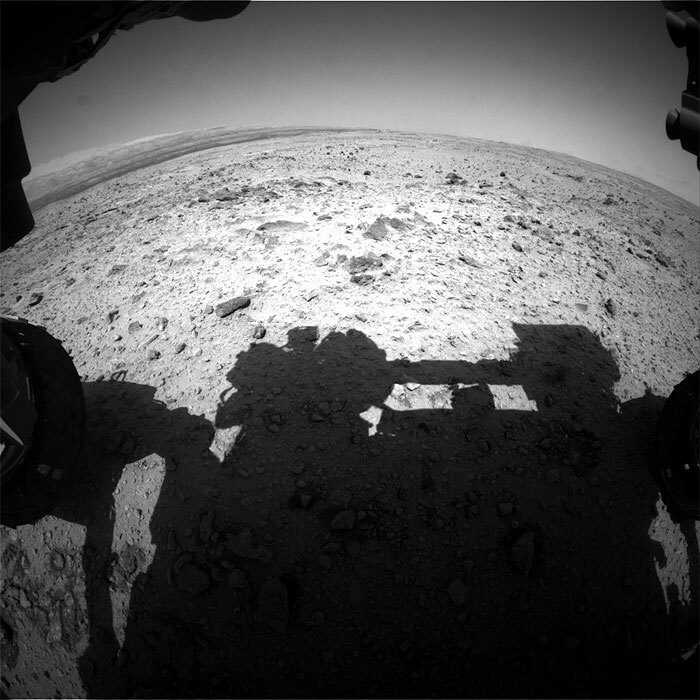 NASA's Mars rover Curiosity acquired this image using its Mars Hand Lens Imager (MAHLI), located on the turret at the end of the rover's robotic arm, on November 3, 2013, Sol 442 of the Mars Science Laboratory Mission, at 07:01:55 UTC. 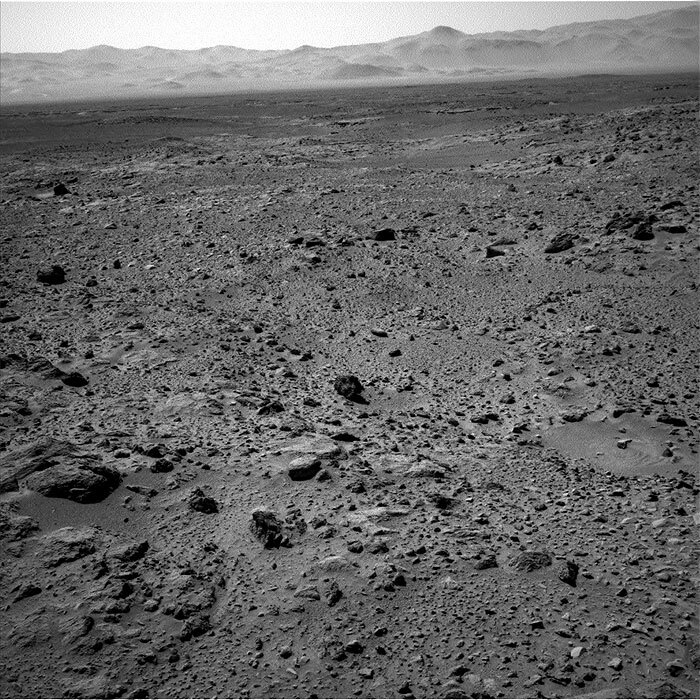 This image was taken by Navcam: Right B (NAV_RIGHT_B) onboard NASA's Mars rover Curiosity on Sol 442 (2013-11-03 06:16:38 UTC). 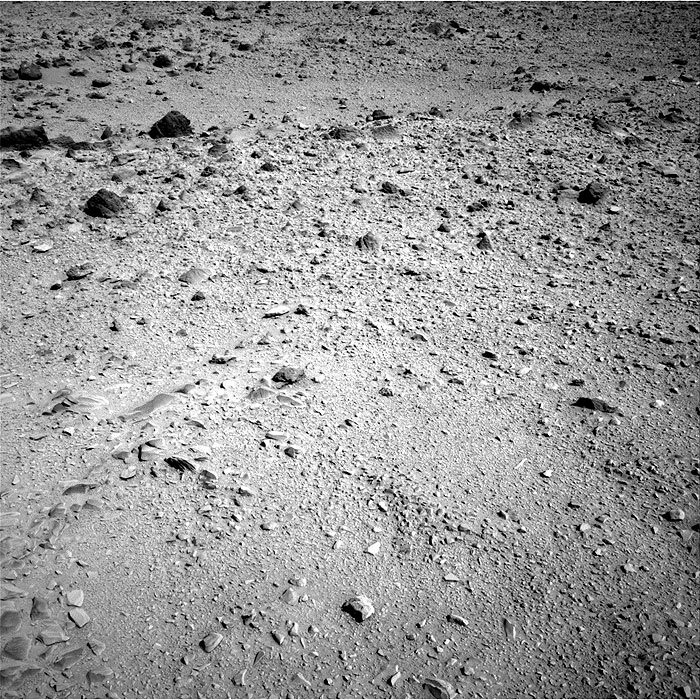 This image was taken by Front Hazcam: Left B (FHAZ_LEFT_B) onboard NASA's Mars rover Curiosity on Sol 442 (2013-11-03 07:39:23 UTC). 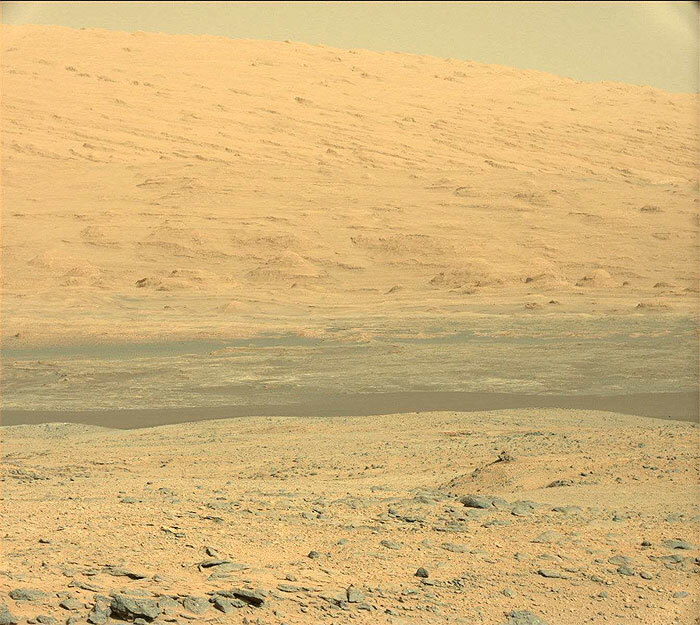 This image was taken by Mastcam: Left (MAST_LEFT) onboard NASA's Mars rover Curiosity on Sol 453 (2013-11-14 15:14:07 UTC). 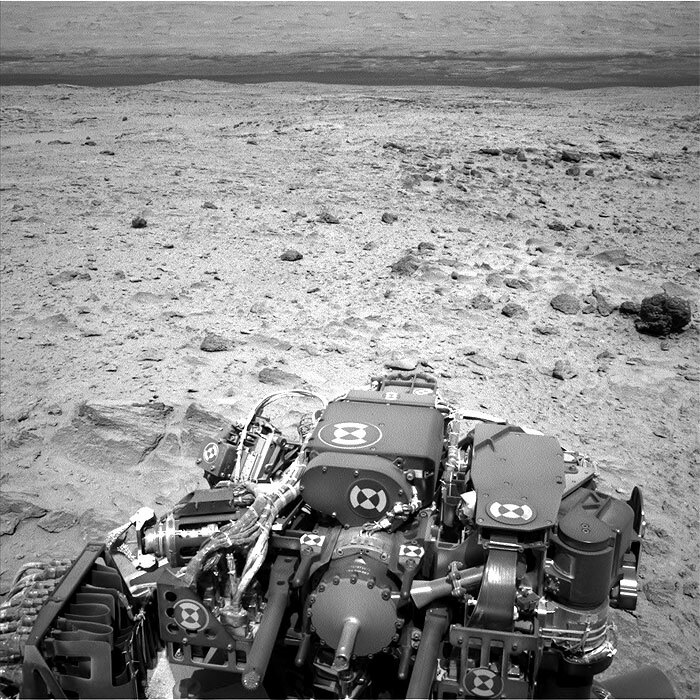 This image was taken by Navcam: Right B (NAV_RIGHT_B) onboard NASA's Mars rover Curiosity on Sol 453 (2013-11-14 16:14:52 UTC). 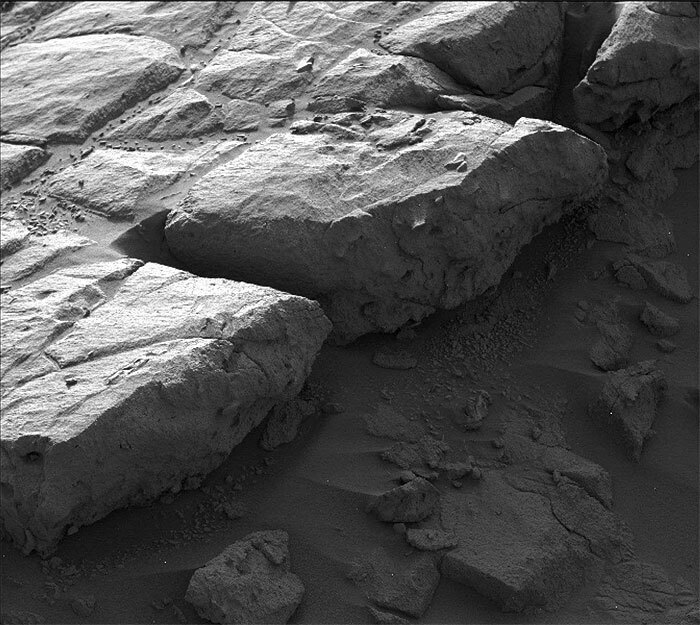 This image was taken by Navcam: Right B (NAV_RIGHT_B) onboard NASA's Mars rover Curiosity on Sol 453 (2013-11-14 16:17:18 UTC). 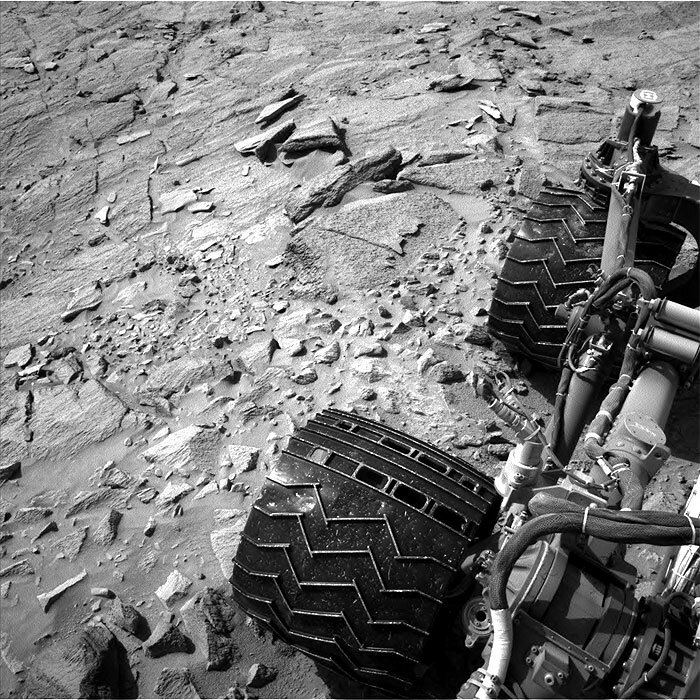 This image was taken by Front Hazcam: Right B (FHAZ_RIGHT_B) onboard NASA's Mars rover Curiosity on Sol 453 (2013-11-14 11:59:36 UTC). 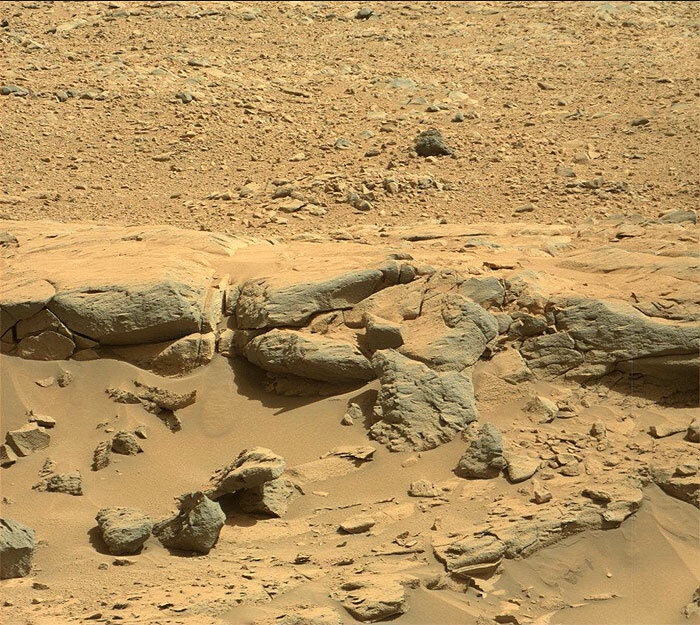 This image was taken by Mastcam: Right (MAST_RIGHT) onboard NASA's Mars rover Curiosity on Sol 455 (2013-11-16 13:21:41 UTC). 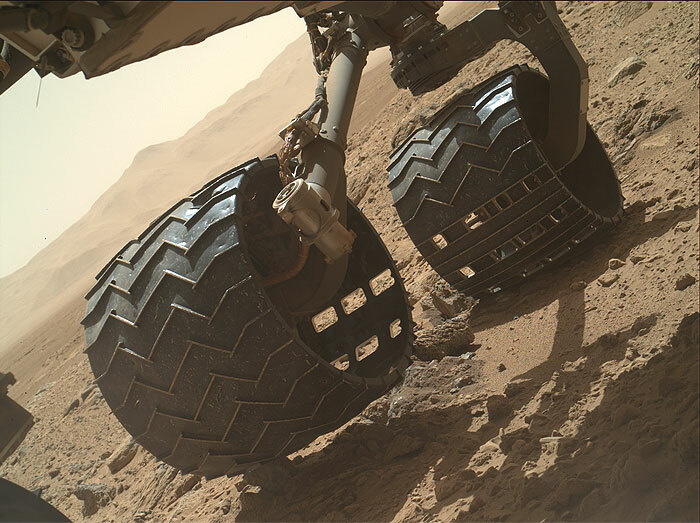 This image was taken by Front Hazcam: Left B (FHAZ_LEFT_B) onboard NASA's Mars rover Curiosity on Sol 455 (2013-11-16 13:18:45 UTC). 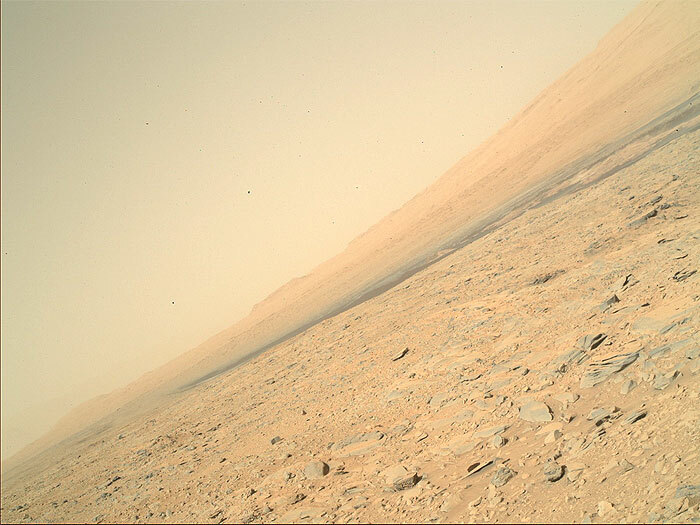 This image was taken by Mastcam: Left (MAST_LEFT) onboard NASA's Mars rover Curiosity on Sol 456 (2013-11-17 18:57:47 UTC). 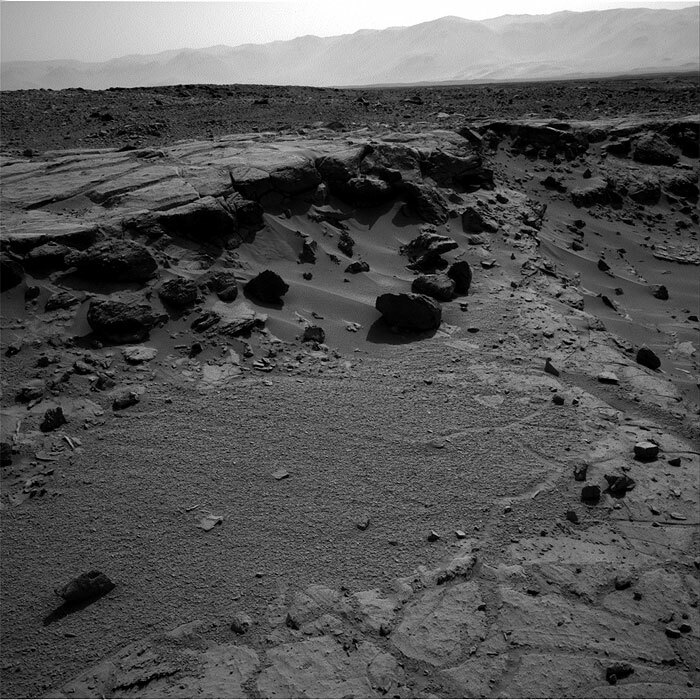 This image was taken by Navcam: Left B (NAV_LEFT_B) onboard NASA's Mars rover Curiosity on Sol 456 (2013-11-17 19:08:20 UTC). 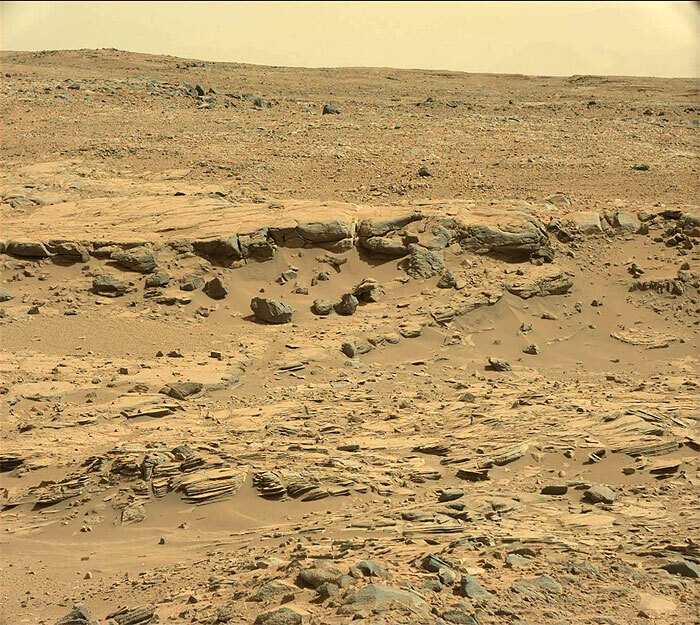 This image was taken by Mastcam: Left (MAST_LEFT) onboard NASA's Mars rover Curiosity on Sol 463 (2013-11-24 22:02:03 UTC). 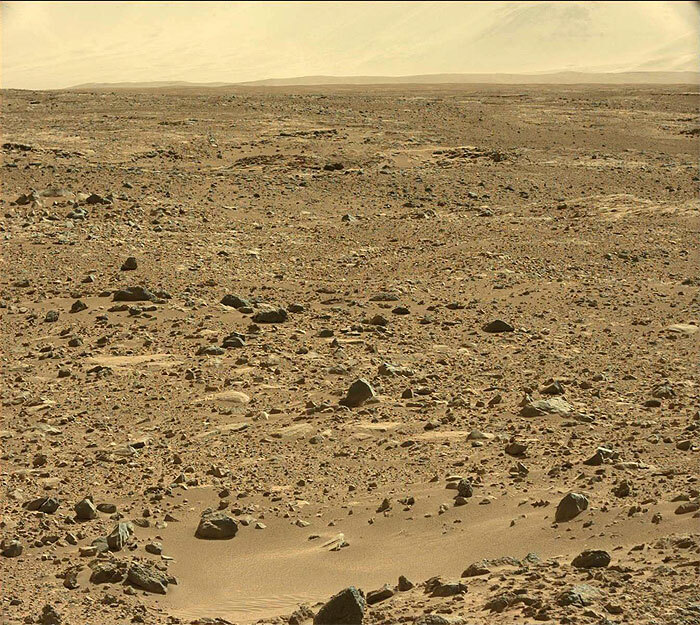 This image was taken by Mastcam: Left (MAST_LEFT) onboard NASA's Mars rover Curiosity on Sol 463 (2013-11-24 22:02:19 UTC). 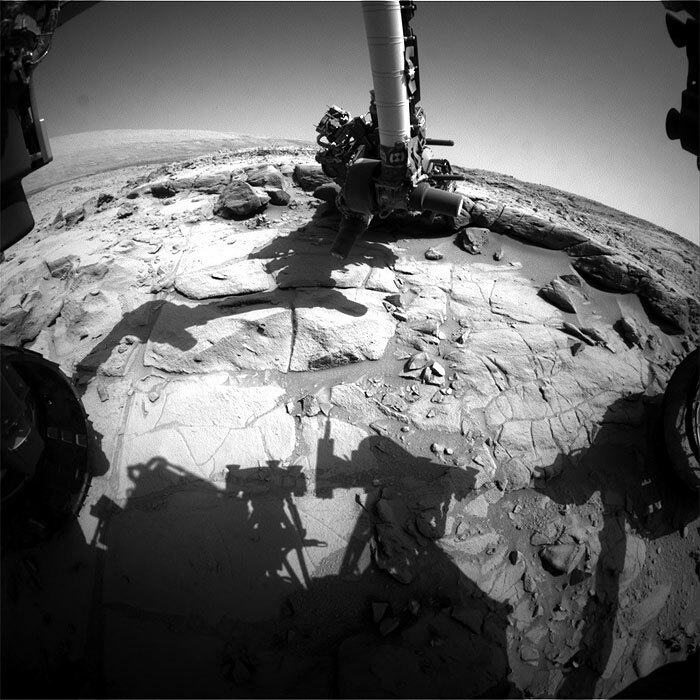 NASA's Mars rover Curiosity acquired this image using its Mars Hand Lens Imager (MAHLI), located on the turret at the end of the rover's robotic arm, on November 24, 2013, Sol 463 of the Mars Science Laboratory Mission, at 22:21:06 UTC. 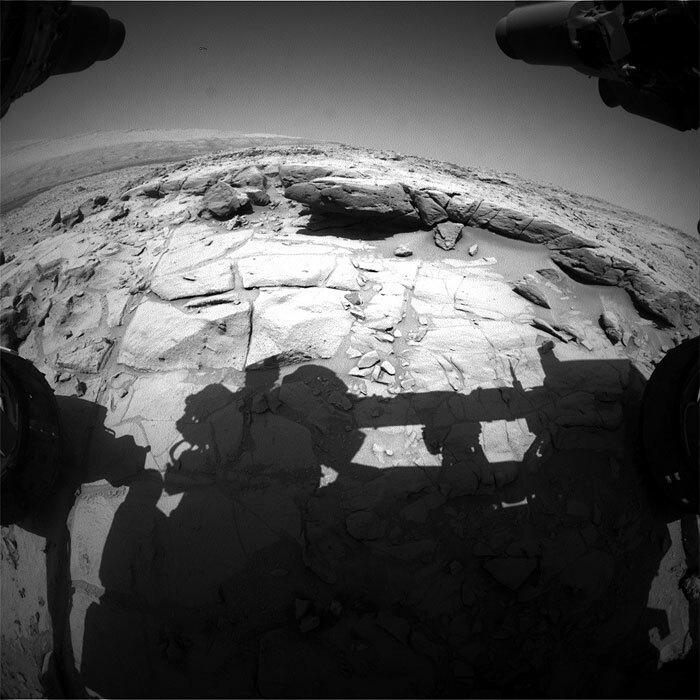 NASA's Mars rover Curiosity acquired this image using its Mars Hand Lens Imager (MAHLI), located on the turret at the end of the rover's robotic arm, on November 24, 2013, Sol 463 of the Mars Science Laboratory Mission, at 22:27:56 UTC. 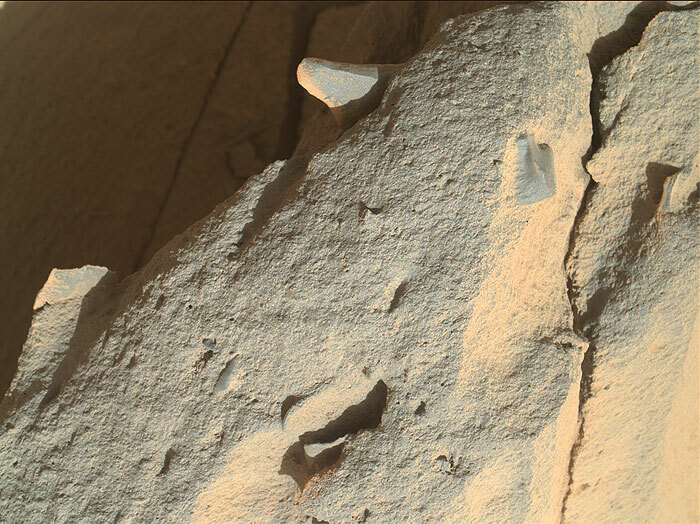 This image was taken by Mastcam: Right (MAST_RIGHT) onboard NASA's Mars rover Curiosity on Sol 466 (2013-11-27 23:38:16 UTC). 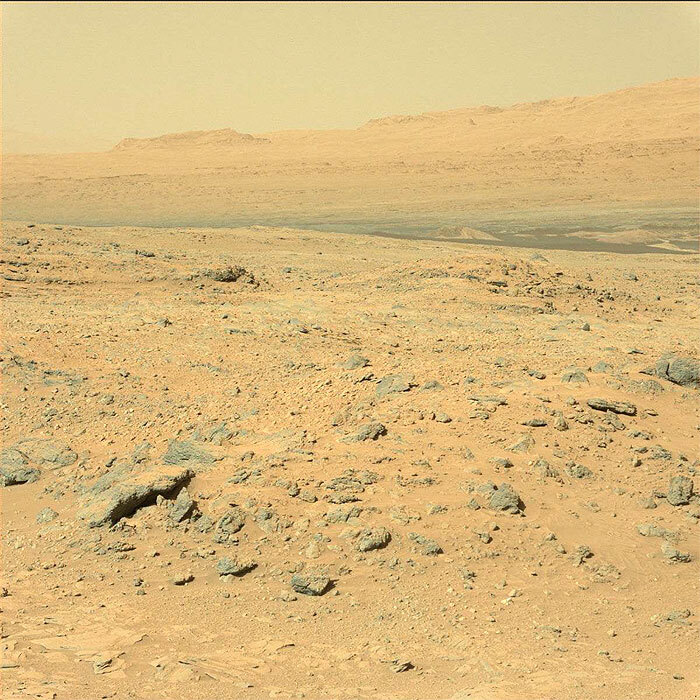 This image was taken by Mastcam: Right (MAST_RIGHT) onboard NASA's Mars rover Curiosity on Sol 467 (2013-11-29 02:11:28 UTC). 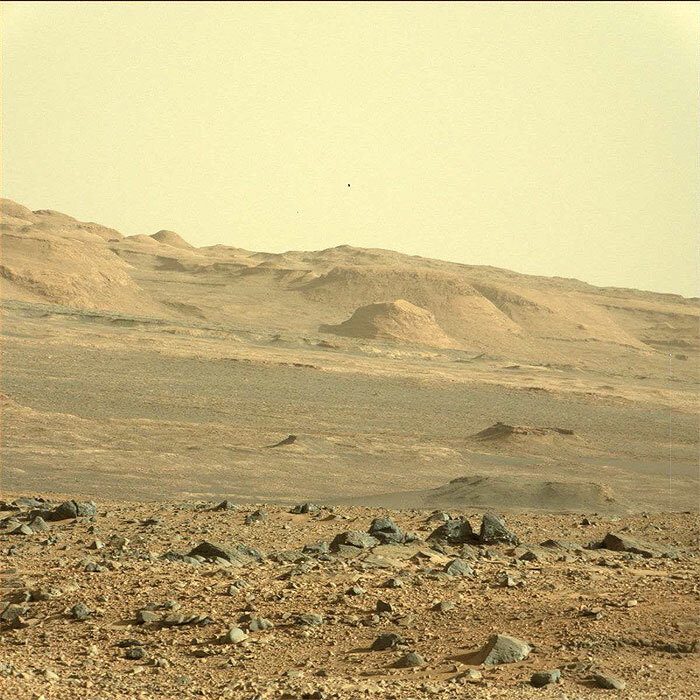 This image was taken by Mastcam: Right (MAST_RIGHT) onboard NASA's Mars rover Curiosity on Sol 467 (2013-11-29 02:11:53 UTC). 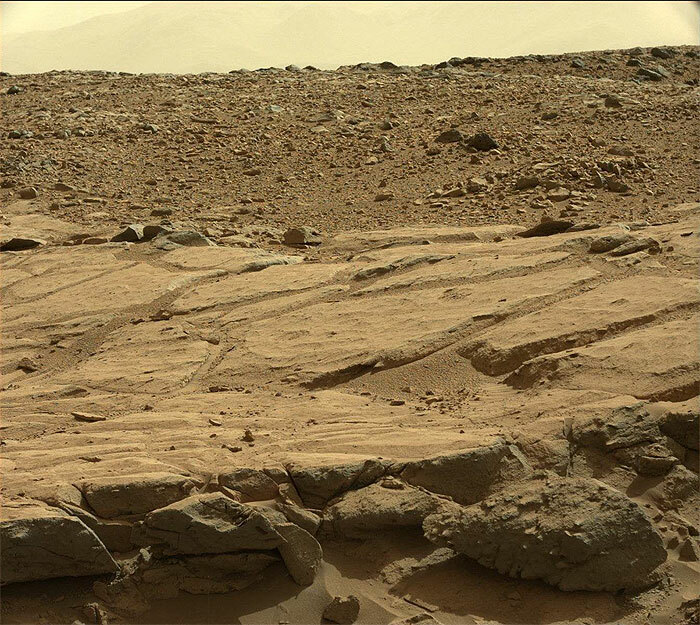 This image was taken by Mastcam: Right (MAST_RIGHT) onboard NASA's Mars rover Curiosity on Sol 467 (2013-11-29 02:27:34 UTC). 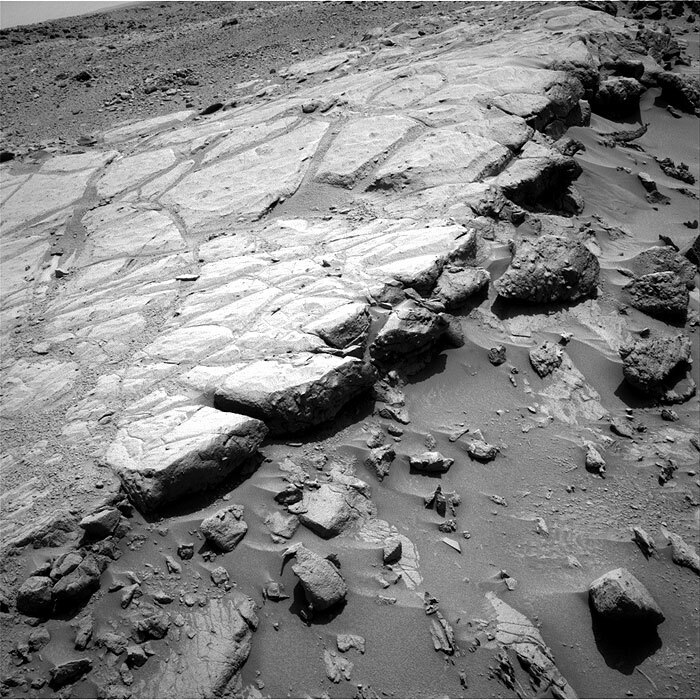 This image was taken by Mastcam: Right (MAST_RIGHT) onboard NASA's Mars rover Curiosity on Sol 467 (2013-11-29 02:28:37 UTC). 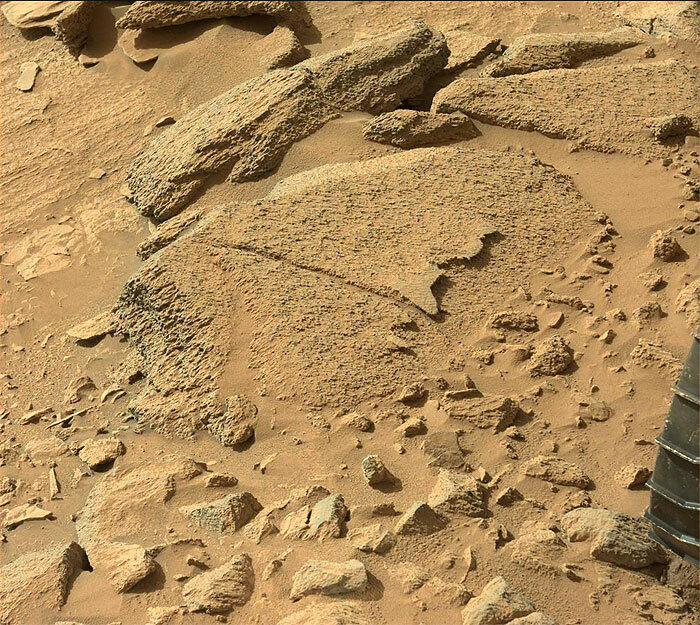 This image was taken by Mastcam: Right (MAST_RIGHT) onboard NASA's Mars rover Curiosity on Sol 467 (2013-11-29 02:29:39 UTC). 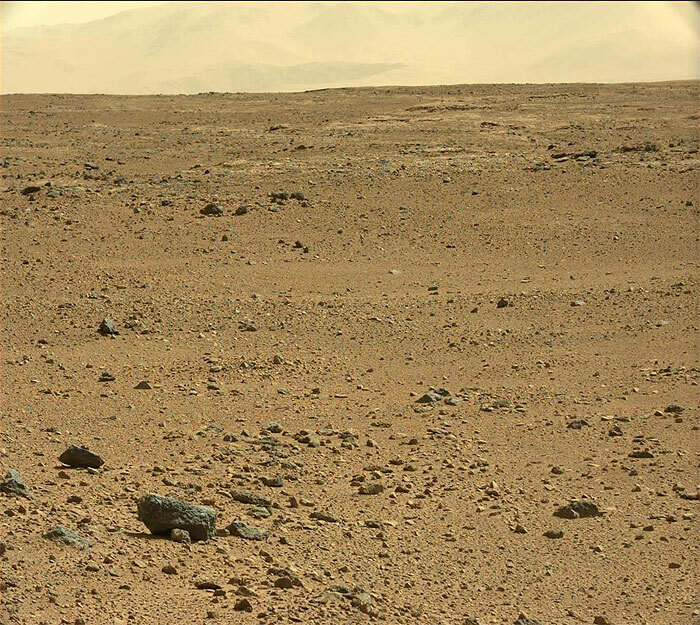 This image was taken by Mastcam: Left (MAST_LEFT) onboard NASA's Mars rover Curiosity on Sol 468 (2013-11-30 01:56:00 UTC). 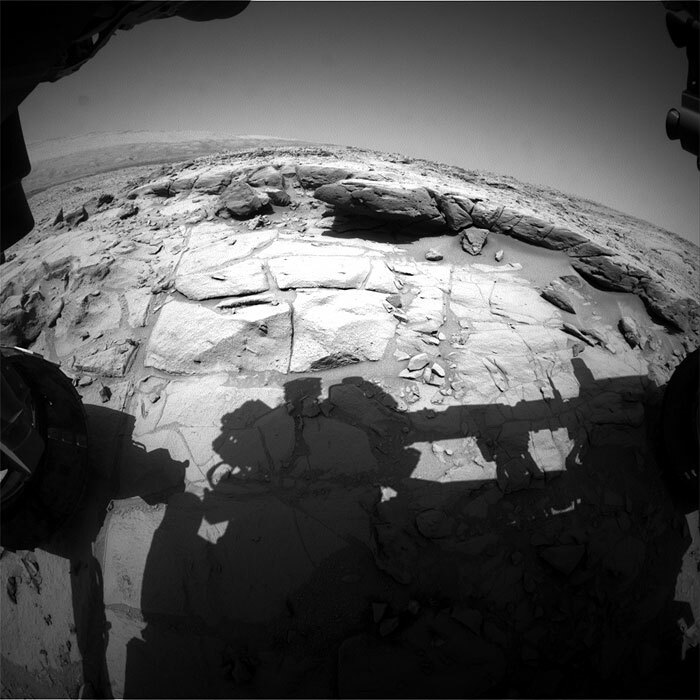 NASA's Mars rover Curiosity acquired this image using its Mars Hand Lens Imager (MAHLI), located on the turret at the end of the rover's robotic arm, on November 30, 2013, Sol 469 of the Mars Science Laboratory Mission, at 23:16:39 UTC. 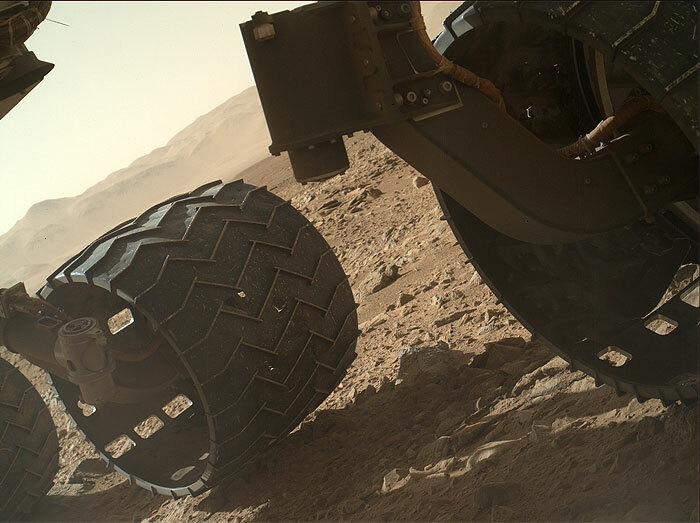 This image was taken by Front Hazcam: Left B (FHAZ_LEFT_B) onboard NASA's Mars rover Curiosity on Sol 469 (2013-11-30 23:14:15 UTC).